I try to make a gift for each of my kids for their birthdays. One has a birthday right before Christmas and one right after. I like the idea that they have something special made by their Mama. 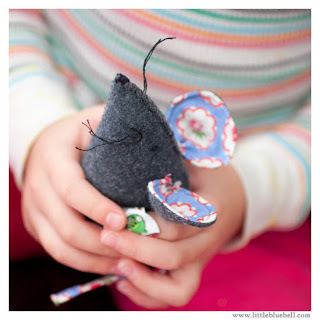 In the past, I have made little artist sets, bean bags, and a even a waldorf style doll. About a month ago, my daughter saw this Nursery Versery fabric by Heather Ross and LOVED it. 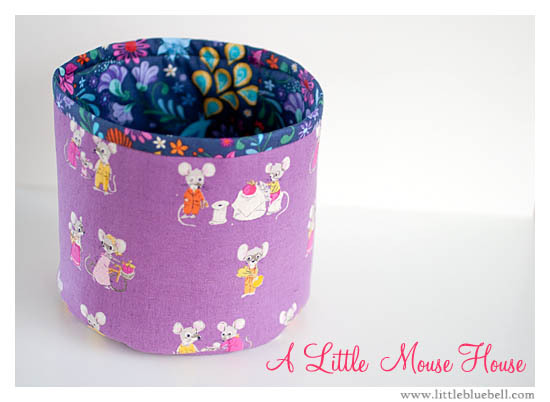 She asked me to make her a round container and went about picking out the perfect fabric for the inside. Julie (my friend and shop owner) and I made lots of suggestions, but she wouldn't have any of it. This is a girl who knows her own mind. : ) After carefully looking all around at all the bolts, she decided she liked this print from Cuzco by Kate Spain. 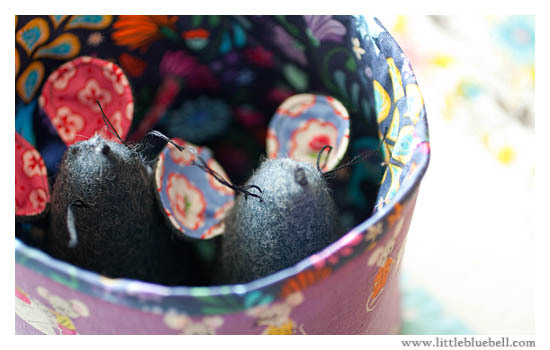 For her birthday I thought it would be cute to make a pair of little mice to go in her basket. They are a hit! 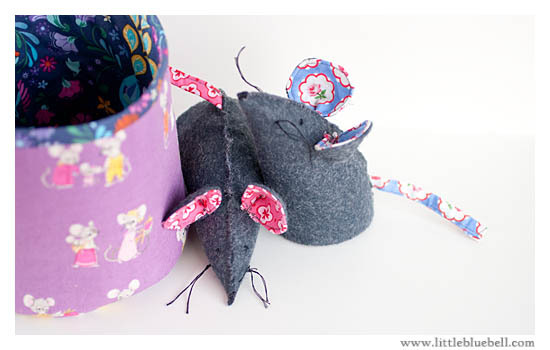 She has already requested two more smaller mice to play with. A perfect gift for Miss Kitty! That must be one happy birthday girl! They are so cute! Well done Mama! This is darling, love the mice.